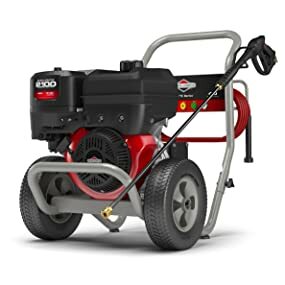 From aggressive stain removal and paint prep to delicate cleaning of patio furniture, you can maximize your cleaning options with this top-of-the-line Briggs & Stratton ELITE4000 gas pressure washer. 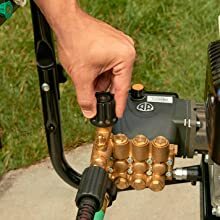 It combines the most powerful engine in our line-up — a Briggs & Stratton 2100 Series — with a premium Annovi Reverberi triplex pump and five quick-connect spray tips to give you unmatched cleaning power, performance and versatility. Briggs & Stratton backs you with more than 100 years of power expertise, from front yards to farm fields, all over the globe. We build durable power equipment with performance you can trust, worldwide support you can depend on – and innovation inspired by you. 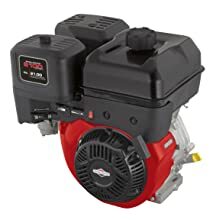 This top-of-the-line engine is heavy-duty, easy starting, fuel-efficient, and features Overhead Valve (OHV) technology to run cooler and last longer: it’s serious power for serious cleaning. Triplex Pump with adjustable pressure regulator lets you to fine tune the PSI to best fit each specific cleaning task. Go from 300 PSI to 4000 PSI and anywhere in between. 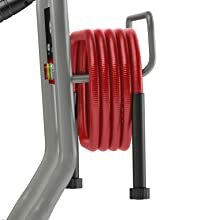 A long-reaching 50-foot steel-braided hose let's you clean farther without having to move the power washer. 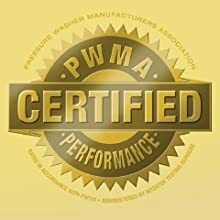 This unit is certified by the Pressure Washer Manufacturers' Association (PWMA). All water pressure (PSI) and flow rate (GPM) claims for this product were tested and verified by an independent lab, ensuring you take home the power you were promised.